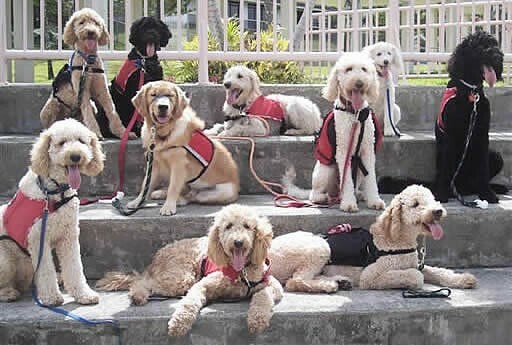 WHAT: On Monday, April 16th, TSA officials are set to provide a checkpoint orientation session at Ithaca Tompkins Regional Airport (ITH) for 20 puppies who are being trained by Guiding Eyes for the Blind of the Finger Lakes Region to assist individuals with visual impairments. Media is invited to come observe the airport familiarization session, which is helpful in ensuring that the pups know what to expect when they become guide dogs and go through any TSA checkpoint. TSA often works with travelers who use service dogs when they travel and offers orientation sessions such as this one scheduled at ITH Airport. On Monday, April 16th, come find out how TSA screens people with visual impairments and their guide dogs. TSA officials and individuals from the Guiding Eyes for the Blind of the Finger Lakes Region will be on hand to answer questions about how valuable this type of orientation session can be from the perspective of the travelers, TSA and the airport. There will be great visuals at this event of 20 puppies going through the checkpoint screening process. If you’ve never seen a dog get a pat-down, it’s fairly interesting to observe and offers excellent visuals for video and still photography. We’re happy to do one-on-one interviews. Guiding Eyes is an internationally accredited nonprofit that provides guide dogs to people with vision loss. WHERE: Ithaca Tompkins Regional Airport, 1 Culligan Drive, Ithaca, NY 14850. We will meet near the security checkpoint. Please park in the short-term lot. RSVP: Please RSVP to Lisa.Farbstein@tsa.dhs.gov if you plan on attending.